Is there a better alternative to Exchange It? Is Exchange It really the best app in Productivity category? Will Exchange It work good on macOS 10.13.4? 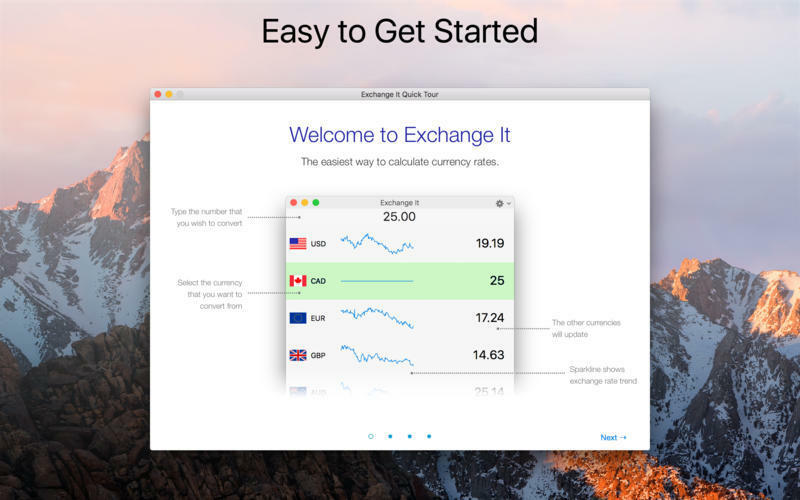 Exchange It is a great currency calculator. 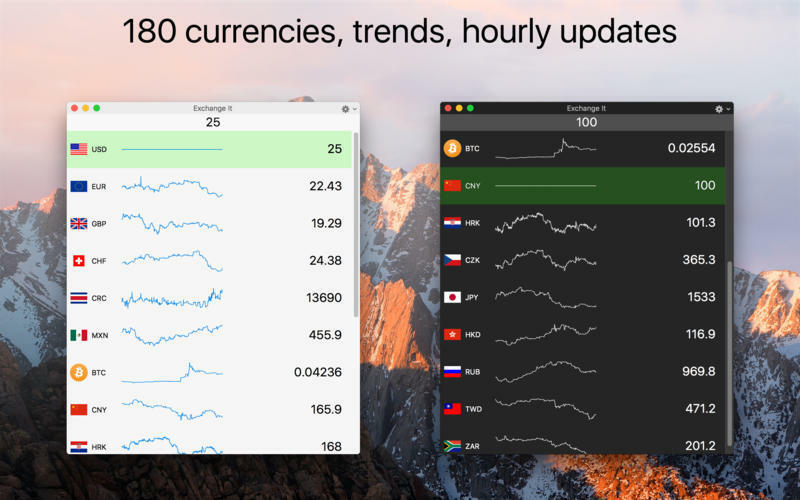 Easily see rates and trends for dozens of currencies at the same time. Whether you are traveling for business or pleasure, Exchange It is the app for you. On the go? Download the companion iOS app for your iPhone, iPad, or Apple Watch from the App Store. Fixes a bug where the app might crash with certain currencies. Exchange It needs a review. Be the first to review this app and get the discussion started! Exchange It needs a rating. Be the first to rate this app and get the discussion started!